People talk about balance a lot when it comes to multiplayer games, but there can be just as much, if not more, fun found outside of its constraints. There’s something about overcoming the odds against an overpowered enemy that just feels so much more rewarding than winning against an equal opponent. The Culling looks like it could provide a lot of this feeling. While you’re waiting for The Culling to enter Early Access, why not work your way through our list of the best free PC games. 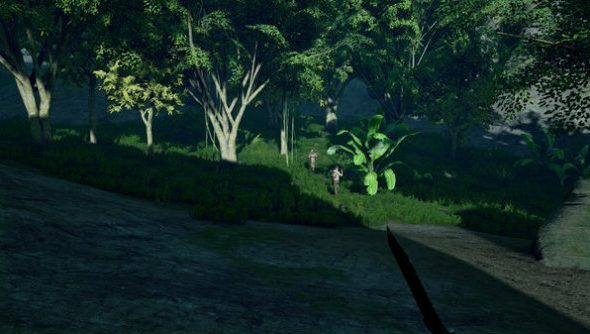 Though The Culling asks players to craft, scavenge and build traps, it’s purely focused on efficiency and each match will last around 20 minutes, so stop typing that comment you were just writing about there being too many survival games. It also looks like it won’t be quite as unbalanced as you may initially assume, because developer Xaviant have eSports aspirations. Players will have to balance aggression with caution, hunting down supplies to prepare for the end of the match where poison gas will restrict the size of each arena, forcing players into a final, deadly confrontation. It sounds like an interesting project, and the developers seem to be keen on listening to feedback, even going as far as promising toshare their Trello roadmap with the community, with the ability to vote on which features players want the team to focus on next.